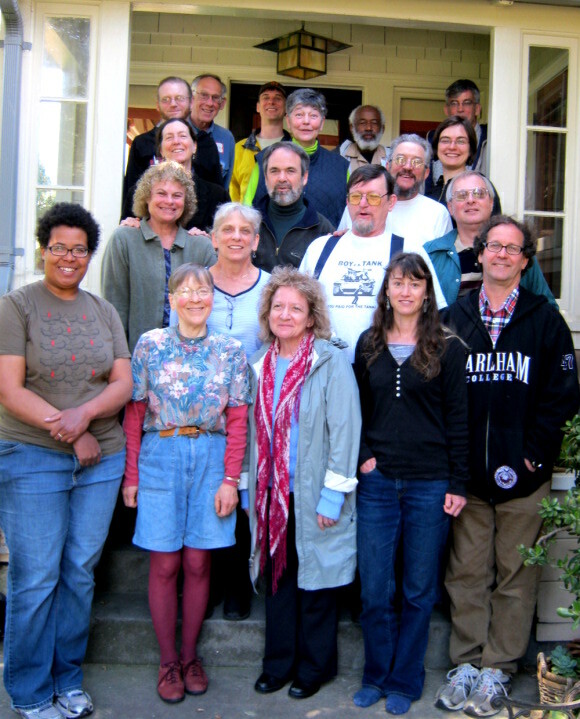 Last weekend was the Spring 2011 national gathering of the National War Tax Resistance Coordinating Committee. It was held out in my neck of the woods — in Berkeley and Oakland, California — and was organized by Northern California War Tax Resistance. I was so busy this time around putting on seminars and facilitating workshops and such that I didn’t take very good notes, but here is some of what I remember. Friday evening we were treated to a panel featuring Mira Luna, who is active in local alternative economic projects like the Really Really Free Market and a Time-Bank alternative hours-based currency, and Kwan Booth, who is at the forefront of the movement to build a grassroots hyperlocal journalism out of the ashes of the collapsing news media empires and who covers much of the up-and-coming innovations in community organizing. Saturday we had panels and presentations on outreach strategies, in-your-face confrontational war tax resistance, working with Thoreau in the classroom, homebrewing beer as a tax resistance strategy, an introduction to the low-income simple-living tax resistance method, a look at the New Priorities Project… and I’m probably forgetting some others. We also split into a couple of “War Tax Resistance 202” sessions at which people who practice the low-income method or the refuse-to-pay method could get together and talk over the nuts and bolts. Sunday , the coordinating committee of NWTRCC met to go over business — finances & fundraising, objectives, proposals, changes of committee membership, that sort of thing. This was my last meeting as a member of the Administrative Committee, as two of us rotated off and were replaced by a couple of others. I signed up for a new working group — the “rapid outreach working group” — which is tasked with identifying emerging groups, actions, and movements that have a message that is harmonious with war tax resistance and reaching out to them to show them how NWTRCC can help them make war tax resistance a useful part of their actions. Coincidentally while the meeting was going on I got two letters from the IRS. One was a copy of a “Notice of Levy” they sent to Fidelity, which holds my retirement accounts, in an attempt to seize money to pay the taxes I refused to pay for the 2007 tax year. But the levy explicitly does not apply to “IRAs, self-employed individual retirement plans, or any other retirement plans in your possession or control” so I don’t think the IRS will get anything out of it. The other letter was a “Final Notice of Intent to Levy” based on what I refused to pay for the 2009 tax year. For some reason they sent me two copies of the same notice in the envelope. This notice was packaged with a Form 12153 (“Request for a Collection Due Process or Equivalent Hearing”) in case I wanted to bother with that, a copy of Publication 594 (“The IRS Collection Process”), and a copy of Publication 1660 (“Collection Appeal Rights”). Each letter had a table on the back showing the amount they were after me for, including “Statutory Additions” (interest and penalties). I’m back from Burning Man with some comments and confessions about the underground economy. Also: What are “Time Dollars” and why doesn’t the I.R.S. tax this form of alternative currency like it does other forms of mediated barter? Damn near everything I read even on the good blogs is someone’s more-or-less thoughtful, well-composed answer to a question that ought to have been ignored. What does it mean any more to demonstrate decisively that something Dubya said yesterday was hypocritical or incorrect? Take a deep breath and focus on the things close to home that you can change. I reprint a poem to commemorate the 21st anniversary of the beginning of the British poll tax rebellion. Also: war tax resisters are giving away the money they’ve been withholding from the tax collector. I got a letter from the I.R.S., so it’s time to look at the interest and penalties and do some math. NWTRCC launches a survey to try to figure out who is resisting taxes, who used to be, and who is thinking about it. Here’s how to participate. Also: the I.R.S. sends me another nag letter about what I haven’t paid and how much interest & penalties they’re adding. The retirement savings tax credit — that miracle Form 8880 that I rely on to stay under the tax line — has been extended indefinitely by Congress (whew! it was due to expire this year). Also: I report back from a San Francisco spokescouncil that is planning civil disobedience at Bechtel’s headquarters tomorrow. And: another month, another notice from the I.R.S., this time with boldface. Another month, another notice from the I.R.S. — this time sent certified mail, with signature required upon delivery, and featuring boldface, underlining and multiple exclamation points. My first letter from the I.R.S. since last Fall lets me know how the interest and penalties are accumulating. Also: I conclude my review of Arne Johan Vetlesen’s “Evil and Human Agency” as he examines bystanders and third parties and I wonder why I don’t care about the people being massacred in Darfur. Two certified letters from the I.R.S. arrived today, spelling out how much they want from me, so I tally up the interest and penalties. The I.R.S. finally sends me their “Final Notice of Intent to Levy” — for what that’s worth. Also: Happy 25th Birthday to the National War Tax Resistance Coordinating Committee. For the first time, I respond to one of the I.R.S.’s “so when you gonna cough up the money” letters… and in return, I get a form letter. Another letter from the I.R.S. breaks the previous desperation-to-information ratio record. Also: protesters from the Erie Peace Initiative are imprisoned for refusing to pay their fines. And: Abbie Coburn discusses war tax resistance as engaged Christianity. The I.R.S. sends me their first quasi-personal bit of mail, but it turns out to be a strange data dump that leaves me scratching my head. The I.R.S. sends me a “Copy of Notice of Levy” indicating that they’ve demanded that Wells Fargo hand over everything I have in my bank account. But the joke’s on them. Another letter from the I.R.S., and it’s a weird one. For some reason, they seem to have decided that I don’t qualify for the $3,400 personal exemption that everybody else (except dependents) qualifies for. As far as I can tell this is just some arbitrary glitch and won’t end up meaning anything, but I’m having a hard time getting any answers from the agency. Also: I’m going to the NWTRCC national in Birmingham next month. I try to call the I.R.S. again to ask about my suspicion that someone, somewhere has invalidly claimed me as a dependent on their tax return. After 30 minutes of “please press such-and-such” and the Nutcracker Suite and reminders of how important my call is, the helpful agent doesn’t know how many exemptions I have in my current tax record, doesn’t know why their on-line service thinks someone else claims me as a dependent, and doesn’t know if my 1040x has been received and processed. If you couldn’t make it to the NWTRCC conference in Birmingham, you can find the next best thing on-line. Also: Another notice from the I.R.S. (ho hum). And: James Bowden and Isaac Zane complained that during the American Revolution, Quakers got it from both sides — the British and the rebels — due to their refusal to support the militaries. Also: the story of John Cowgill, who was paraded through town with a sign on his back and subjected to other reprisals after he refused to use the Continental currency. I get another notice of levy, and pause to try and come up with the lessons learned so far from my experience with the levy process. Also: new tax resistance rumblings from Malaysia. The I.R.S. tells me they’ve finally processed my amended tax return from last April to uncorrect the mistaken “correction” they made to the 1040 I originally filed. Another “final notice of intent to levy” from the I.R.S. Also: a self-loathing tax resister grovels at veterans for Armistice Day. And: a Defense Department panel presses for big cuts in military spending (uh, wha?!). Also: with the Democrats taking over, the pro-lifers are contemplating tax resistance. After a long period of quiet, I get another letter from the I.R.S. Also: To what extent do we need to respect common sense popular views about things in order to conduct good philosophy? Are pleasure and pain like opposing vices, with a virtuous state somewhere between? Or are the hedonists right after all? I got my first letter from the I.R.S. this year… and a second letter the same day. One was surprising. Also: Ralph Shinaberry said if the government thinks it can tell him what and how much to grow on his farm, they might as well be the owners, and they can pay their own damn taxes. So the government auctioned off 1/264th of it. I got an “Urgent! !,” certified letter from the I.R.S. today. If it’s anything like the first “Urgent! !” letter they sent me, I’ve got about 15 months to think about it before they make their next move. I got a letter from the I.R.S. while I was away. Also: John O’Hagan went to jail indefinitely rather than pay a $1 poll tax he felt was unconstitutional, in New Jersey in 1907. A letter from the I.R.S. 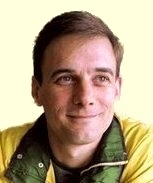 and another from imprisoned war tax resister Frank Donnelly. Also: Inland Revenue is threatening to seize assets from War Resisters International in response to that organization’s policy of tax resistance. I get another letter from the I.R.S. Also: the NWTRCC-produced war tax resistance documentary “Death & Taxes” is now viewable on-line. Another day, another letter from the I.R.S. A new design and nicer font, but not much else has changed since my last “Notice of intent to levy” letter. The I.R.S. tallies up my interest and penalties for me and sends me three letters detailing the charges. Here is my summary of what they’re after me for and how well they’ve done at getting at it so far. I got another letter from the I.R.S. Also, Hut Tax resistance in Swaziland in 1903–7, and social security tax resistance from an English Duchess in 1912. After a nearly nine-month drought, I got four letters from the I.R.S. today about the taxes they still hope I’ll pay. The I.R.S. sent me six letters the other day to remind me that I’ve neglected to write them a check. I get a letter from the I.R.S. about my recent unpaid tax bill… what’s that −$12 all about? Also: the for-novelty-use-only I.R.S. “Taxpayer Bill of Rights.” And: BBC Radio 4 looks at tax avoiders in English history. I sign for a scaaaary Certified letter from the I.R.S., but it’s just the usual notice of intent to levy they send me every year. I am freshly back from Mexico, where the craft beer renaissance has finally arrived. And despite my more than $50,000 of overdue federal taxes, I didn’t get hassled at the border coming back in, for what that’s worth. 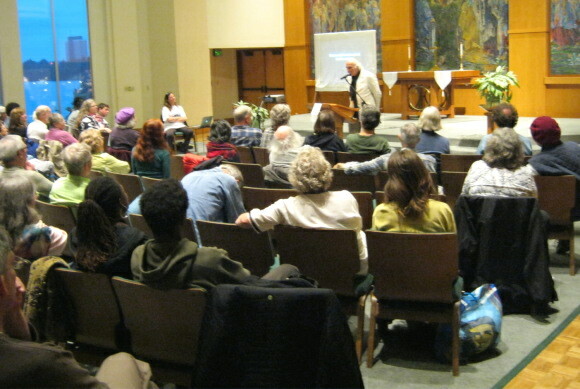 While I was away, NWTRCC held its Spring national gathering, and the I.R.S. sent me a letter. More details about the new U.S. government policy of denying passports to (or rescinding them from) people who owe more than $50,000 in back taxes. The I.R.S. has finally gotten around to filing a federal tax lien against me. This gives us an opportunity to get a closer look at the process, and some of its surprises. A call to strengthen tax resistance in Nicaragua, evading tobacco taxes in California, smashing ticket cameras, blue states fighting back against federal taxes, computer security at the I.R.S. is a mess, Catalan war tax resistance grows, a new call for tax resistance in Sri Lanka, and I get another letter from the I.R.S.